I really wasn't sure how this would turn out but I have to say it way surpassed my expectations. 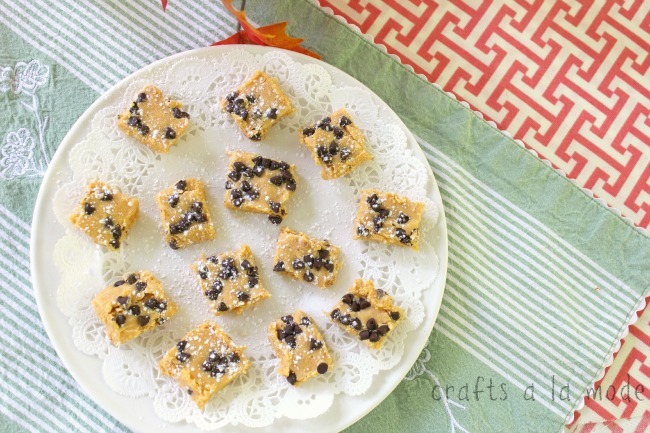 It's not too sweet and it does have a wonderful pumpkin taste! Oh, and it's creamy and smooth. I added the little mini chips because I like chocolate and I think it makes it pretty. Then someone said to sprinkle it with confectioner's sugar. I like it. This is a great recipe. 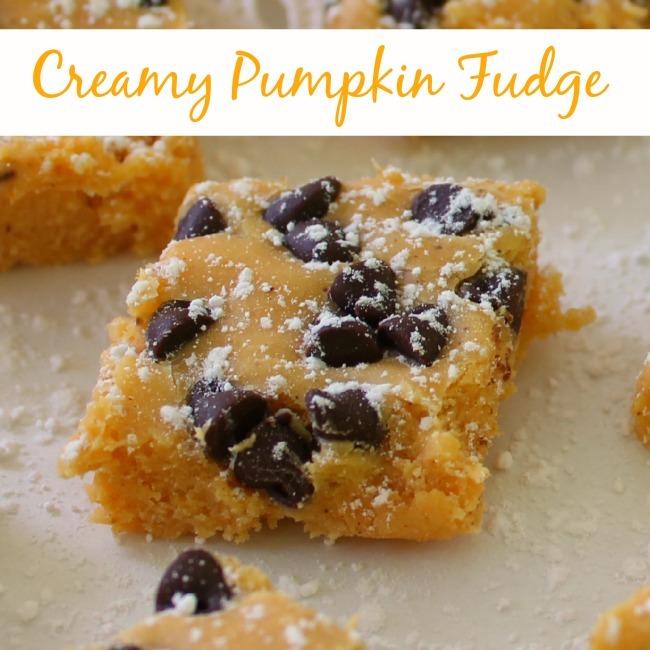 Mix together butter, sugar, evaporated milk, pumpkin and marshmallow cream. Gently simmer for 18 minutes or until it reaches soft ball stage (238 degrees) on a candy thermometer. Take off the heat and let cool for about 10 minutes as you don't want the chocolate to seize when adding the white chocolate chips (don't ask me how I know that). Add 1 cup white chocolate chips and 1 tsp of vanilla and beat until smooth. Pour into greased 8" x 8" pan. Let cool in refrigerator. Cut into squares. 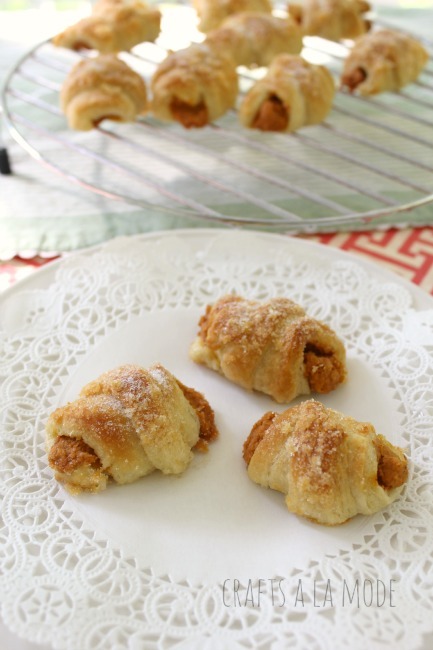 Did you see my Pumpkin Mini Pie Crescents? 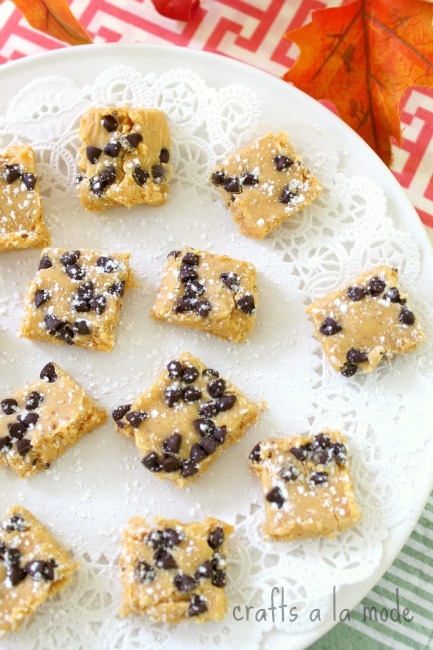 Such a lovely dessert and perfect for Fall. Pumpkin is such a great food. Looks delicious. Thanks so much for sharing at Adorned From Above's Link Party.